A rare plant from the Canary Islands off the coast of Morocco where it is endangered. An evergreen, upright shrub with glossy green leaves. 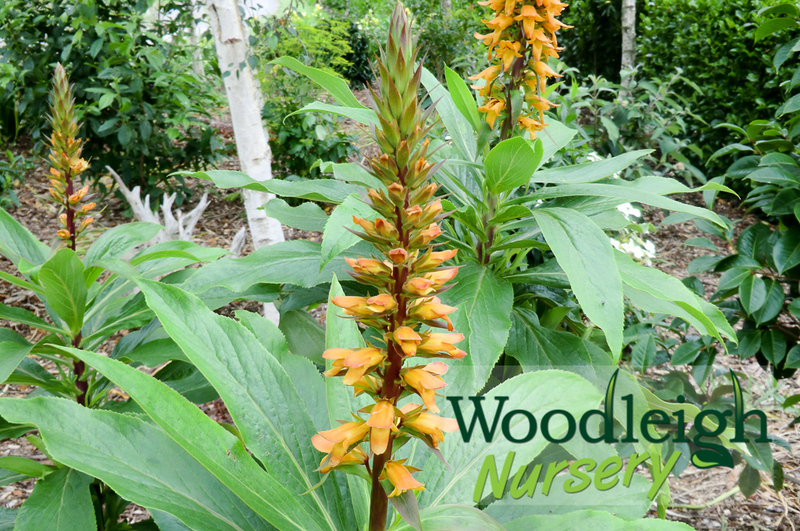 Bright orange-red foxglove flowers appear in early spring, continuing through to autumn. It is very popular with the birds hence its common name the Bellbird plant. It is a cool-climate plant, tolerating cooler night temperatures, and can be planted in full sun or light shade, though does prefer protection from the mid afternoon sun. Giant Madeira Foxglove. A stunning rare plant. Taller and more robust than the Canary Is. Foxglove, with broader, darker green leaves and larger dark orange foxglove flowers. Will form a tall woody shrub.